Edwise, India’s leading overseas education consultants representing over 725 universities across the globe has successfully completed 27 years of operation. It is making a start fresh of the year by bringing to you its 34th World Education Fair. Edwise’s World Educational Fair is an open gate that leads the prospective international students from India towards brighter futures. 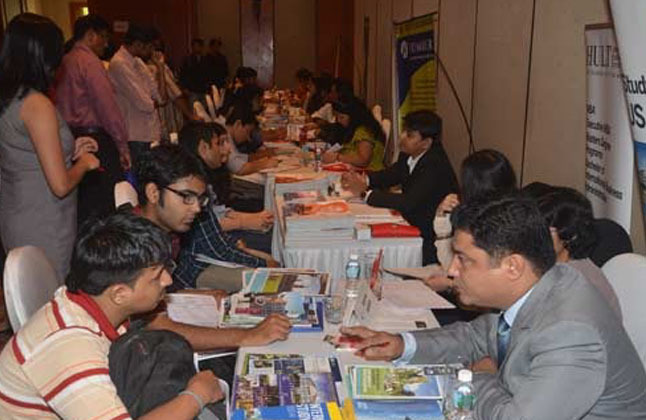 It brings the universities scattered across the globe under one roof thereby maximizing students’ benefits even more. Edwise’s World Education Fair 2019 will be held from 28th January 2019 to 17th February 2019 across 14 cities in India, the entry for which is absolutely free. 80 institutions from the UK, US, Canada, New Zealand, Singapore, Switzerland, Germany, Dubai and Italy will participate in the fair. (Participants varies in each city) Get a chance to meet well reputed and famous universities from across the world. Some of these universities include Munich Business School: Germany, Naba/Domus: Italy, St. George's University Grenada School Of Medicine, Swiss Education Group: Switzerland, Trinity College Dublin: Ireland, University of Wollongong, Bangor University, Bath Spa University, Birmingham City University, Coventry University, Keele University, Kingston University, Middlesex University, Northumbria University, Nottingham Trent University , Regent's University London, Royal Holloway, University of London, California State University -East Bay, Colorado State University , Drew University at New York, Full Sail University, George Mason University, Fanshawe College, George Brown College, University of Victoria, PIHMS, Curtin Singapore, PSB Academy, American University of the Caribbean, School of Medicine, EU Business School , etc. Countries like USA, UK, Canada, Australia, Singapore, Germany, Spain, Switzerland, Dubai, etc. will be participating in the fair. During this fair, participants/visitors get a chance to have a one on one interaction with the university delegates. This will enable prospective international students to get their doubts and queries answered on a personal level. By attending the fair, you can avail of services such a free counseling, application fee waiver, on the spot applications and scholarships. Scholarships will be granted to students based on pure merit and application fee waiver will be provided of up to ₹ 35,000 to those eligible. There have been instances where participants have successfully secured scholarships ranging from 5-50% of the total tuition fees, amounting to over ₹ 5 Cr. Here you will not only get a chance to solve your queries related to studying abroad but also related to various tests requirements you need to fulfill in order to study abroad. In addition to this you will also be able to gather information related to the financial aspects of studying abroad like loans, scholarships, funding options, etc. 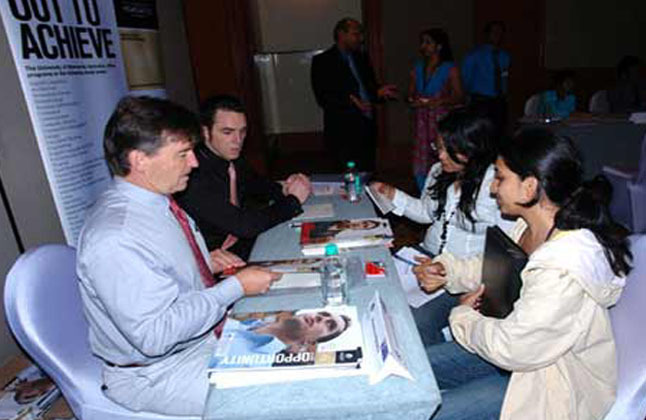 The Visa process being the most important aspect of studying abroad will also be of crucial focus. Not only will the delegates be answering to your queries but our highly experienced counselors too will be providing free counseling like always and will help you in choosing the right program and university. So hurry up and preferably pre-register yourself online or by calling us to fix a private appointment with the university delegates. For applications and spot offers kindly bring your original documents and 5 photocopy sets to your nearest Edwise office. It was one fantastic experience with the whole team who helped me through the whole admission process and especially the visa preparation. I strongly recommend Edwise to those entire who wish to study abroad. My experience with Edwise is great. The entire journey from day one of counseling uptill now is extremely helpful. They reach out to the students and cater their needs very carefully. My experience with Edwise has been great. My counselor and the IELTS counselor always supported me and helped me whenever needed. The entire team of Edwise is extremely helpful and kind. I had an amazing experience as I was well guided throughout my admission process by my counselor. Had it not been for Edwise, my dream of overseas education would have been very difficult to accomplish. Very elaborative and well equipped. My counselor has been very helpful throughout my application and she is still helping. She has helped me with not only the educational documents but also the financial documents. I'm highly satisfied.